In our neverending quest to increase conversion rates and revenue, we often focus on web design and offers, and overlook the power of customer reviews. 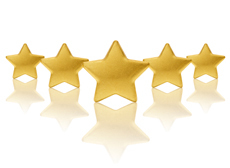 There are many benefits of reviews, not only to your customers, but also to your merchandising and purchasing team. But attracting reviews is a challenge — even Amazon’s average sales-to-reviews ratio is 1300 to 1. Do you know what percentage of customers ‘convert’ to review contributors? What can you do to attract more reviews? 1. More content. Customer reviews reveal insights about the product that do not appear in the manufacturer’s description or even your own copywriting. This is very important in online shopping, as there is not a salesperson on hand to discuss the product. This allows customers to research their purchase more thoroughly, with honest opinions. The more review content you have, the less likely the visitor will turn elsewhere (like Amazon or a competitor) to find this information. 2. Trust. Consumer surveys consistently show that people prefer shopping on sites that show customer reviews because it reduces their risk of purchasing a bad product. Emarketer found that consumer reviews are trusted nearly 12 times more than manufacturers’ descriptions. Consumers actively seek out sites that offer a wealth of reviews. 81% of consumers consider the availability of customer reviews to be “very important,” according to iPerceptions. Even negative reviews create warm fuzzies about the merchant – it shows transparency and honesty. Research by Forrester has shown that after reading a negative review, 26% continue to shop for the product anyway. 3. Product discovery. You’ve heard of the “paradox of choice,” the more results you offer, the lower conversion. 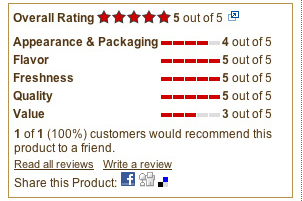 Sort by star rating is a powerful tool for shoppers to make informed decisions with minimal effort. 4. SEO. When reviews are added to a page, they use “customer speak” that other customers also type into search engine (including misspellings and specific problem/solutions, e.g. “socks good for diabetics.”) Make sure your review solution does not use frames that are not crawled by search engines. It can also help your internal site search for synonyms and misspellings you may have missed if you include them in your index. 5. Feedback. Reading customers’ reviews help you to understand what customers like/dislike about products and how they use them, to decide whether to restock items or discontinue products, and what to merchandise as featured products on home pages and in email campaigns (e.g “customer favorites”). If you’re thin on content, read reviews from other sellers that carry the same products. 6. Backup. If a product is really poorly made, reach out to your supplier and use customer reviews as evidence that the product is shoddy. Gift givers, that is. For many businesses, the holiday season is the high season, which means a big opportunity to reach out post-purchase and ask for customer reviews. While gift givers may be reluctant to review items they never took out of the box, they can provide feedback on certain categories (apparel, jewelry, etc), or review your company/service. 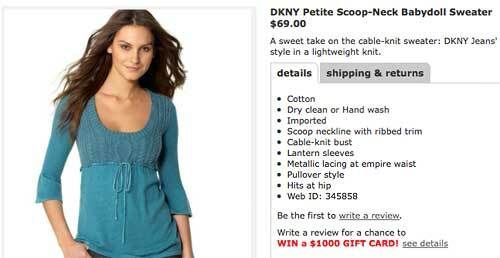 Tip: Always include a photo of and link to the product(s) purchased in the email. It’s all about the ask. It’s a no-brainer that e-tailers reach out to customers post-purchase and request reviews, but very few are actually doing it. So doing it is the first step, and testing incentives to submit reviews is the second. You could offer a dollar or percentage discount, but you risk a “schill review” in exchange for the discount. You want authentic reviews. One way to get around this is to offer a “chance to win” a really great product or gift certificate. But, do customers need to get something to give something? Research says no. 90% of consumers surveyed by Baaarvoice say they write reviews to help others make better buying decisions, and more than 70% want to help companies improve the products they build and carry. So appeal to the do-gooder in your customer in your request, mention how they can help other shoppers and help you improve your product line to keep satisfying customers like them. The key to conversion is to understand what motivates your customer. Split test an altruistic appeal vs. discount/chance-to-win incentive to see what gets the best results. If you want more checkouts – remove the required registration, right? 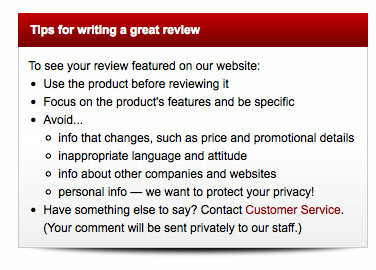 Why not smash the barriers to writing customer reviews as well? Altrec bakes name and email fields into the review submission form, making the process nearly frictionless. Finally, ask them to rate specific attributes. Often customers are not thinking about every attribute when writing a review, but can offer good feedback when reminded about them. Delightful Deliveries does this very well. Why wait for a purchase? 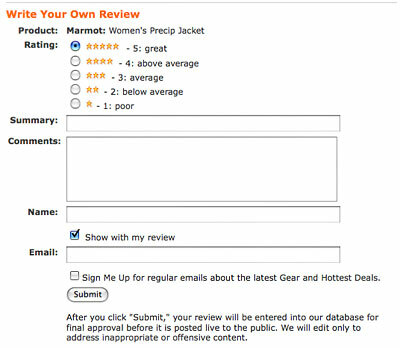 Ask shoppers to review products on product pages themselves. Some site browsers will own items they did not buy from you, or even experience them in a store (this sweater fits tight, try a size larger, etc). The Macy’s example incentivizes it’s product page request. Again, you could test this vs. a blurb about how kind and wonderful of a person one is if they leave a review. I’ve never seen this done, but why not create a mobile app where customers can join, come into the store, experience products and write reviews through the app to earn points redeemable for real products or other perks? The app could link to product review forms via QR codes. Make it a new year resolution to grow your CRO – Customer Review Optimization! Previous articleWhat Happened to Get Elastic?